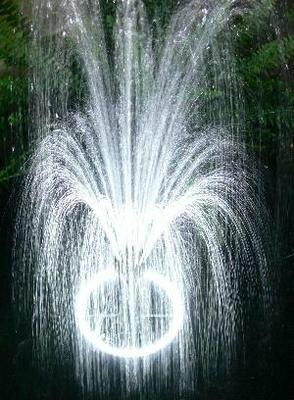 This LED Fountain Light Ring contains 120 mini bulbs to create a very bright white light for fountains, ponds or water features at night. This is an excellent choice for medium to large ponds or fountains or in the landscape wherever a dramatic statement is desired. 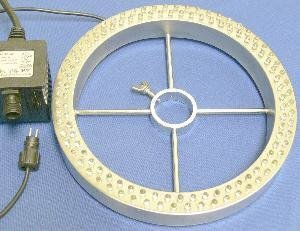 The diameter of the light ring is approx. 8. 5 inches and cord length is 33 feet. Only uses 5 watts! A transformer for outdoor use is included.